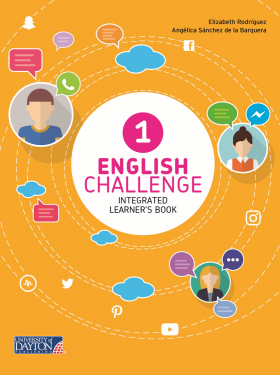 Designed to meet the needs of secondary students at Ciclo Básico, English Challenge fosters learner autonomy and stimulates creativity and curiosity. 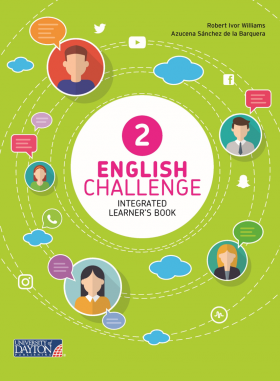 With a clear organisation and appealing design, English Challenge motivates students to learn and use English while exploring other areas of the curriculum. CLIL and projects offer students the chance to learn new contents and personalise work. ‘Bank of ideas’ offers students suggestions and ideas to improve their writing. Clear layout and appealing design. 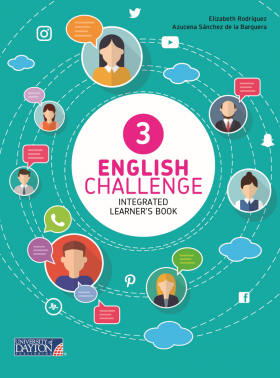 Balanced practice of grammar and skills, introducing a special section for skills integration. Exposure to different types of reading texts. Ideas and suggestions to cater for the mixedability classroom. ‘Research Guide’ with step-by-step notes on how to approach a project. Systematic revision and self-evaluation sections. Full colour picture ‘Word Bank’.